The world of mobile communications is ever-changing, sometimes it is so tricky to keep up with the latest developments. 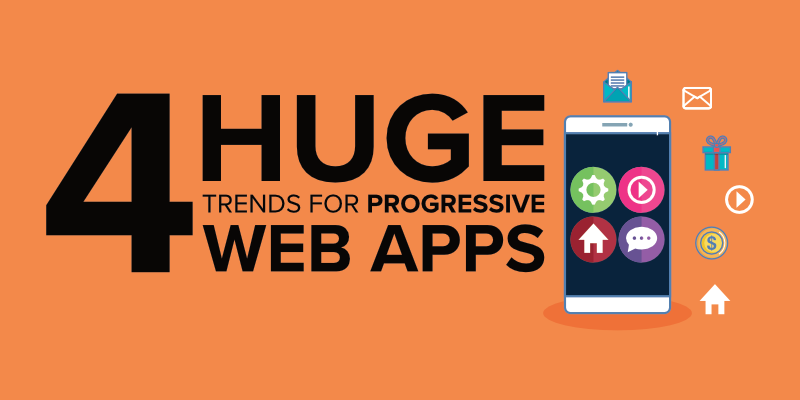 Like anything else though, it relies on innovation, and today we’ll be talking about some of the trends that have stemmed from the rise in popularity of a relatively new thing – the progressive web app. Take a breath and a big step back, because we want to talk about web apps. It’ll help to set the scene for what a progressive web app actually offers businesses, and what it is. Possibly the best place to start is to look at the original Facebook for mobile, not the mobile app, the website that was launched specifically for mobile users visiting the site through their browsers. It was designed to be functional on a mobile device specifically making it possibly one of the first ever mobile websites that was tailored for a mobile audience. Looking back it can appear to be hugely simplistic compared to what the offering of today due to mobile apps, but you can see the timeline of its evolution here in case you were interested. It highlights though, how a few companies saw the potential of the mobile web, even though this was many, many years ago. With the rapid growth of mobile users, we’ve reached the crossroads mobile development with millions of mobile apps on the various platforms, but there is something new – the PWA. It draws inspiration from those early days of what pioneers like Facebook envisioned for their mobile websites. A captivating experience tailored for mobile users. Think about a PWA like an advanced futuristic mobile-first solution built on the foundations of a mobile web browser. It takes all the stuff that is awesome about and throws into the mix the things that are great from mobile apps… It’s like if a website got together with a mobile app, nine months later, you would have a progressive web app? Let’s take a look at some of the most progressive web app trends out there. Jumping into the first trend, one that reminds me of how many leaps technology has made that have fundamentally changed the way we see the world. Now, it’s a sad thing to see, but we are watching the old ways of interacting with devices phase out, towards more modern alternatives. Conversational interactions are growing in popularity as a way to communicate directly with a device (not just mobile’s as a matter of fact), in essence, a user can speak directly with the app. But this isn’t anything new for the mobile – Apple, Amazon, Google and Microsoft have long since implemented this in their products, but not many developers are aware that through the latest HTML5 framework, you can make use of the microphone of a mobile phone. So anything is theoretically possible and the great thing about conversational interactions is you can use your app without even touching the phone. Which could be beneficial in certain situations, this can be a handy safety feature – when driving for example. But it can also merely offer an extra layer of usability. In the future, we expect to see these become a core part of how apps are used. More and more people want to use their apps offline for various reasons. It’s great for those who want to frequent an app, or perhaps want to save data, and even cut battery usage which can be a real benefit in daily life. This is possibly one of the greatest advantages of native apps, and one of the biggest pitfalls of the mobile web. Progressive Web Apps have opened the doors for offline installation with virtually no friction. This is all possible due to the service worker which can be embedded into PWA’s to enable the entirety of the app to work without an internet connection. This easily enables a frictionless offline experience and is something that is going to become implemented for more and more web apps with each passing year. We expect more and more companies to make the leap for a PWA to access this functionality – especially those with mainly static less updated websites. One of the more common benefits that aren’t frequently discussed is the sheer size of a PWA once downloaded – it’s minuscule in comparison to a native app, in fact, they take up 25 X less space on a device. We expect more and more companies to make the leap for a PWA to access this functionality – especially those with mainly static less updated websites. One of the more common benefits that aren’t frequently discussed is the sheer size of a PWA once downloaded – it’s minuscule in comparison to a native app, in fact, they take up 25 X less space on a device. A fantastic way for marketing a business in the modern day is using push notifications. We’ve preached about them on this blog so much it was a breath of fresh air to talk about the future of push notifications. Multi-channel marketing isn’t anything new, but using multiple channels and push notifications is. Up until now, the only way to utilise push notifications was to have a native app, but with a PWA you can make use of push notifications in your marketing activities when trying to reach your audience on a mobile. But mobile aside, with the new web standards it is possible to send push notifications on desktops too with a web push notification. It enables you to truly create cohesive marketing campaigns that reach your customer at multiple stages of their customer journey on whatever platform they might be on. Although relying on push messaging too much might frustrate consumers, there is no doubt that it is one of the most powerful tools in your marketing arsenal and it will continue to rise in popularity for many years to come as a core component of your marketing plan. The user journey is a delicate thing and there is one thing set to grow in popularity. It’s important to make an experience on mobile feel as similar to the native behaviour of the phone, making that transition from search to site as seamless as possible. Touch gestures are becoming a standard for how users should interact with content on the mobile web. It can change the way they experience your content. However, you need to be sure to get them right if you want it to be effective. A clunky touch gesture function is so much worse than just not having it at all. But executed properly, it is one of the greatest features around. Generally, keeping it simple is what works as is keeping it as effective and easy to use as possible. You never know what’s around the corner in the world of technology. But these trends are the more popular things at present for PWA’s, and each of them makes a huge difference to the user journey. Integrating any of these into your web apps is likely to be a good idea. If we had to choose one though? Harnessing the power of the multi-channel push notifications is a great way to see immediate returns, bolstering your bottom line paving the way to have a little extra cash to play around with other features of PWA’s. Above all else though, Progressive Web Apps should be something that you explore. There is always going to be something new around the corner – and things that maybe haven’t been done before, so you’ll only know what works for your business when you try it.